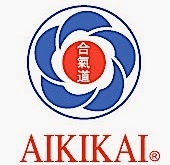 The Aikikai is the original organization of Aikido, headed by the Doshu. It is represented globally through the International Aikido Federation (IAF) and it is centered on the Aikido World Headquarters (Aikido Hombu Dojo or Hombu)-Aikikai Foundation (財団法人合気会Zaidan Hōjin Aikikai), which is located in Tokyo, Japan (17-18 Wakamatsu Cho, Shinjuku-ku, Tokyo, 162-0056 Japan). In Japan, there are about 2000 training locations affiliated with the Hombu through the All-Japan Aikido Federation. Throughout the world there are over 100 organizations, which have be given the Official Hombu Recognition and the IAF currently has 49 member-nations. Aikido has become established in 130 countries. The organizations of each country, which comprise of Aikido practitioners with dan grades, legitimated by the Doshu, are members of the world Aikido family under the umbrella of the Aikikai. Aikido organizations in each country are given Hombu Official Recognition in accordance with the International Regulations of the Aikido World Headquarters (Hombu). The International Regulations were promulgated in 1980 to support the world propagation and development of Aikido. In 2000, the revised International Regulations became effective by Hombu with major modifications to Hombu Recognition-related provisions. Due to expansion of Aikido population in many countries and the birth of new Aikido organizations, it was decided that Hombu Recognition may be given to more than one organization in a given country. Hombu Recognition does not have any political implication. 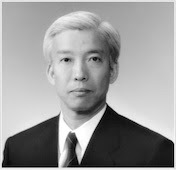 It is a vertical relation between Hombu and each Aikido organization for the Aikido instructional and grading purposes. It also does not mean that the relevant organization can enjoy an exclusive position to propagate Aikido in a given country. Hombu Recognition is given to an organization itself and not to any individual member of the organization. Hombu Recognition is among the necessary conditions that an organization must satisfy to become a member of the International Aikido Federation. Hombu Recognition does not mean that the relevant organization automatically becomes a member of the IAF. The IAF and the Aikido World Headquarters (Hombu) are separate bodies supporting each other, and both organizations have different regulations, rules, etc. The International Aikido Federation is a non-political, non-profit cultural association of national Aikido organizations, which does not discriminate between individuals, nationalities, races or religious beliefs. The IAF supports and promotes Aikido as created by the Founder, Morihei Ueshiba, and spread under the direction of the Aikikai Foundation - Aikido World Headquarters, Tokyo. 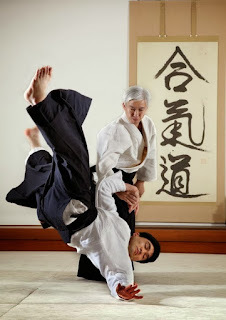 It recognizes the Doshu as the foremost authority on Aikido and preserves direct links with the Aikikai Foundation - Aikido World Headquarters, established by the Founder of Aikido, Morihei Ueshiba, and upheld by his successors. The Membership of the IAF can be given to national Aikido organizations, which have received the Hombu Recognition. This Membership cannot be given to more than one national Aikido organization in a country. To become a member of the IAF, a national organization must be in a position to operate independently in all matters of Aikido, its teaching, grading and promotion. The relevant organization must be democratically regulated and it must be operating according to the International Regulations of the Hombu. If an Official National Aikido Organization applies for membership, meeting all the criteria for membership, it prevails over any other Aikido organization of the same country. 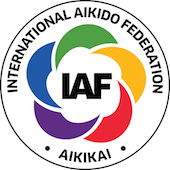 The IAF defines the Official National Aikido Organization as the national Aikido organization recognized as a legitimate national organization for Aikido by an appropriate government body of the country in which it is situated. The IAF defines a country as the geographical region regarded as a nation in several prominent international fields of world relations, such as the United Nations and the General Assembly of International Sports Federation. Also, a National Aikido Organization is defined as a democratically regulated association of Aikido dojos, legally constituted according to its local laws, admitting members all over the country, but not beyond the country’s borders.